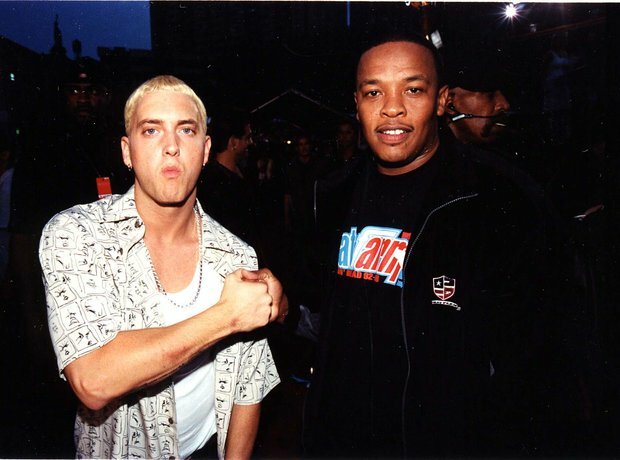 Aftermath Records really took off when Dre signed Eminem. 7. Aftermath Records really took off when Dre signed Eminem. The turning point for Aftermath came in 1998, when Jimmy Iovine, the head of Aftermath's parent label Interscope, and Dr. Dre decided to sign Eminem. When Eminem's 'The Slim Shady LP' reached number two on the Billboard 200 and received general acclaim from critics, everyone soon realised the power of Dre's new label.